Turkish President Recep Tayyip Erdogan has called for a boycott on electronic products from the United States, retaliating in a dispute with Washington, which has helped drive the lira to record lows. Worries over Erdogan’s calls for lower interest rates and worsening ties with the United States has led to The lira losing more than 40 percent of its value this year, crashing to an all-time low. Sputnik spoke to Dr Ayla Gol, Author and Professor of Politics at Aberystwyth University, for more insights on the issue. Sputnik: Is the worst yet to come for Turkey’s precarious and volatile Lira? Dr Ayla Gol: I think the worst will come through. I think this is the tip of the iceberg – its financial crisis what we’re experiencing. The Turkish economy for the last 5 years was showing really good indications that it is in the right pace with emerging markets, like China and India, but a kind of false interpretation. It was running on a very heavy foreign currency debt and a construction boom that was keeping the Turkish economy looking very well, but was actually based on US dollars. That’s why the crisis now is bringing these deep down problems in the Turkish economy to the surface. Sputnik: If the currency collapses what effect will this have on Turkey, both domestically and internationally?Dr Ayla Gol: Well, domestically, the last election and referendum it was a very clear indication that it (Turkey) is an illiberal democracy. You don’t have democratic rights; the media, journalists and academics are in jail. It will lead to more political instability in terms of domestic politics, including regional and foreign policies as well. In terms of economy, my theory is that inflation continues and the Turkish value keep spiraling down basically that might lead to hyperinflation that we witnessed in Venezuela. It is one of the examples that I am arguing, if Turkey continues as the sponsors of the current administration and Erdogan, the final crisis will deepen as it did in Venezuela. I am being very pessimistic for both domestic and foreign affairs of Turkey. Sputnik: Could we see allies of Turkey step in and assist if the Lira continues to fall? Dr Ayla Gol: No I don’t think so. That’s why Erdogan’s responses at the moment are really laughable. I mean asking his supporters to exchange US dollars into Turkish liras and this is a national struggle against American dollars, and using new alternatives. 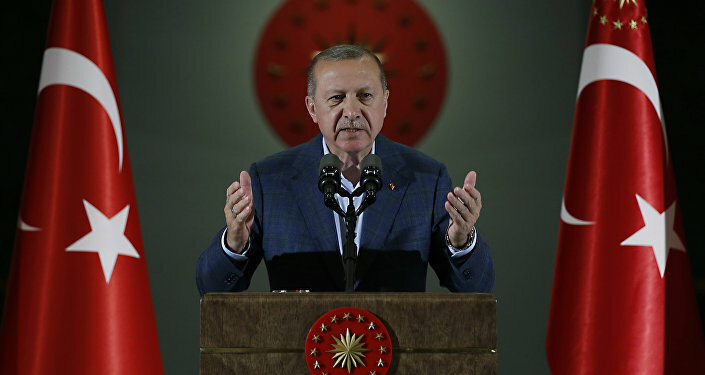 In the New York Times and his recent speeches he is saying that Turkey doesn’t have to be a member of NATO and its EU membership has always been questioned. Their first ally is Russia; if there are overlapping vested interest are just limited to the regional politics, I don’t we will see any regional allies to help Turkey. Views and opinions expressed in this article are those of Dr Ayla Gol and do not necessarily reflect those of Sputnik.